Some homeschoolers I’m teaching this afternoon will be studying in their history, among other topics, the plight of the Armenians during the Ottoman Empire, including the bloody reign of Sultan Abdul Hamid II, 1876–1909. Reading the material on the Armenians put me in mind of a visit to that part of the world I made in 2007, where I visited a church that dates back to the 10th century. Cathedral of the Holy Cross, Akdamar Island. Photo by Leon Mauldin. During his reign, King Gagik I Artsruni (r. 908-943/944) of the Armenian kingdom of Vaspurakan chose the island of Aght’amar as one of his residences, founding a settlement there. The only structure standing from that period is the Cathedral. It was built of pink volcanic tufa by the architect-monk Manuel during the years 915-921, with an interior measuring 14.80m by 11.5m and the dome reaching 20.40m above ground. In later centuries, and until 1915, it formed part of a monastic complex, the ruins of which can still be seen to the south of the church. 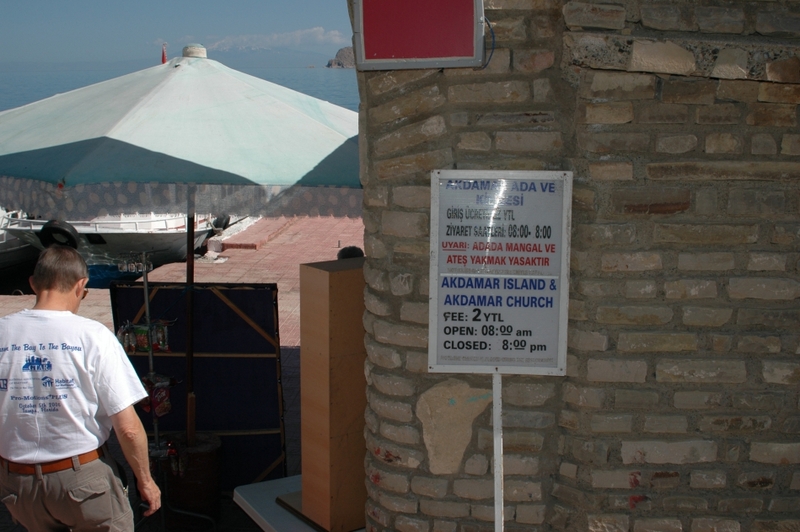 Between 1116 and 1895 Aght’amar Island was the location of the Armenian Catholicosate of Aght’amar. Khachatur III, who died in 1895, was the last Catholicos of Aght’amar. 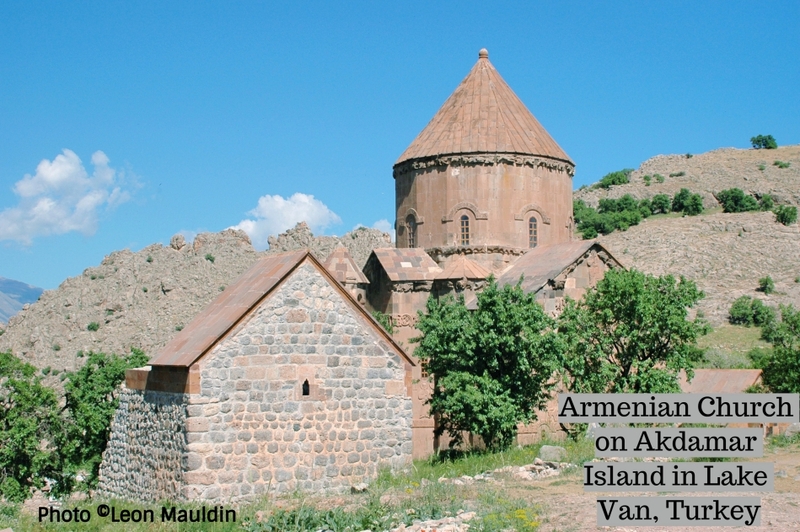 In 1915, during the Armenian Genocide, the church was looted, and the monastic buildings destroyed. Among the carvings on the outside of the church was this scene of David’s battle with Goliath. David and Goliath. 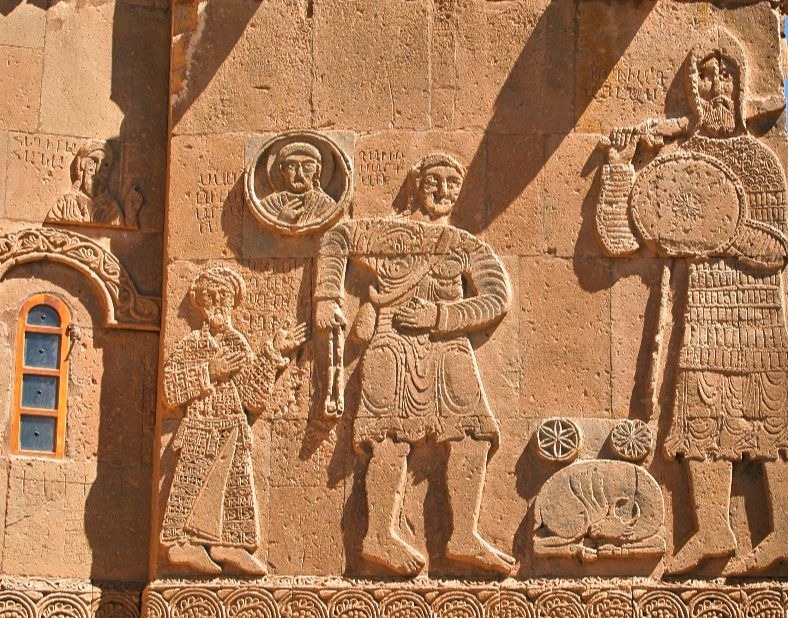 A scene on the outside wall of the Armenian church. Photo ©Leon Mauldin. To get to the island we took a boat from this location. Dock where we secured a boat to go to Akdamar Island. Photo by Leon Mauldin. This area is very near the Ararat mountain range, where Noah’s ark came to rest (Gen. 8:4). See Ferrell Jenkins article here. This entry was posted on Friday, February 9th, 2018 at 12:16 PM and is filed under Bible History and Geography, Bible Places, photography, Travel, Turkey. You can follow any responses to this entry through the RSS 2.0 feed. You can leave a response, or trackback from your own site.